Did you know that producing single-use disposable bottles to meet America’s demand uses more than 17 million barrels of oil annually? 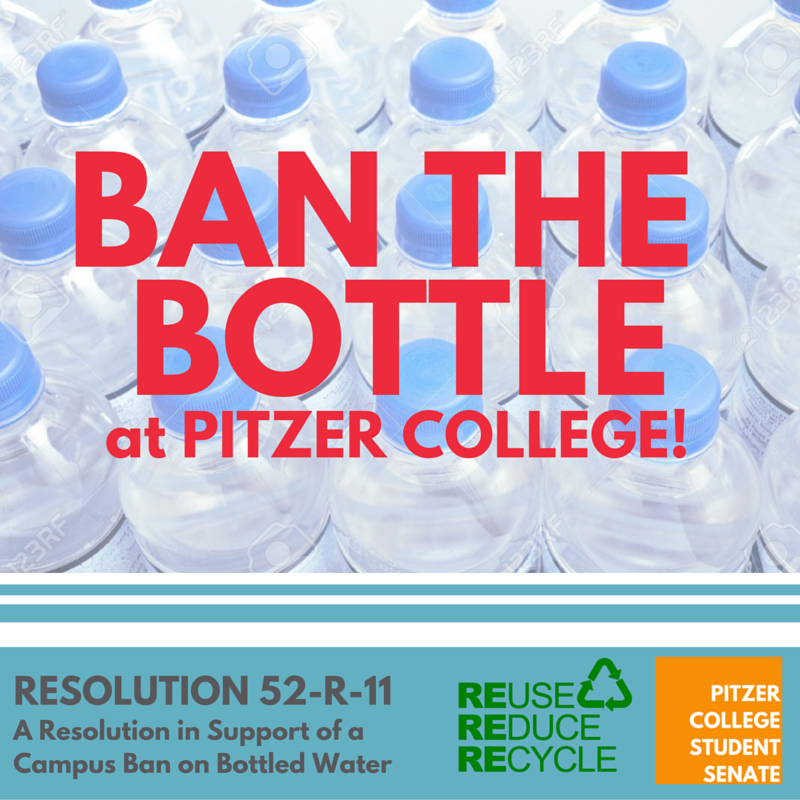 In 2016, the Student Senate unanimously passed Resolution 52-R-11 in support of a campus ban on bottled water. Boxed water is now sold at the Pit Stop Café on Pitzer College’s campus and distributed in Bon Appetite’s bagged lunches. 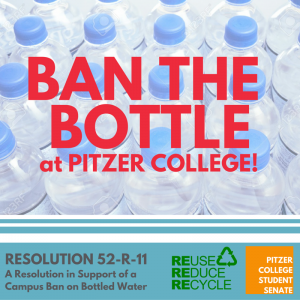 All vending machines on campus also no longer stock water bottles.